Born in Indonesia in 1939 as Wang Lap Tat, people know him better as Lo Lieh. He spent his early life in Indonesia before his parents sent him to study to China and attend acting school in Hong Kong. 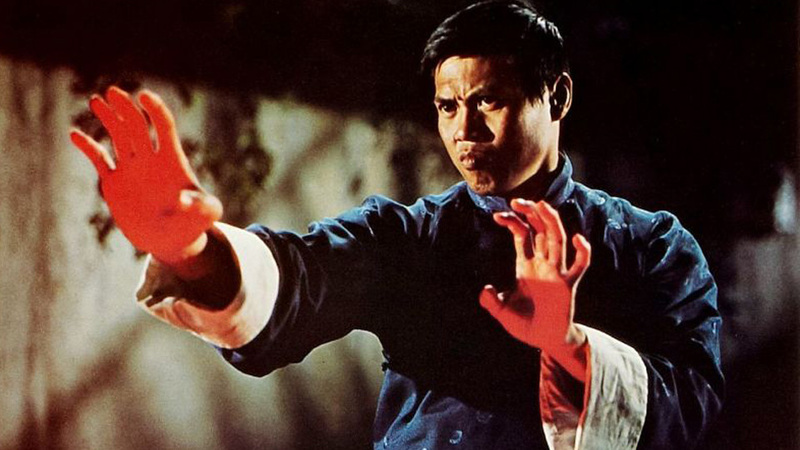 He began his martial arts training in 1962 and joined the Shaw Brothers in the same year. From there he went on to become one of the most famous actors in Hong Kong kung fu movies in years 1960’s to 1980’s. He played big roles in many kung fu movies together with many famous actors and actresses such as Cheng Pei Pei, Jimmy Wang Yu, Maggie Cheung, Lee van Cleef, Jackie Chan, Gordon Liu, Chow Yun Fat and many others. In 1973 he began to direct and also star in Devil and Angel. In the same year 1973, his Five Fingers of Death a.k.a. King Boxer (in which he played with Bolo Yeung among others), became the first Hong Kong movie to make a splash at the American box office. It was the first kung fu movie to have an international release. This was the first successful martial arts movie to reach American shores, even before Bruce Lee‘s Fist of Fury. In 1988 he played alongside Jackie Chan, Sammo Hung and Yuen Biao in Dragons Forever. In 1992 in Police Story 3 : Super Cop, he played with Jackie Chan and Michelle Yeoh. His last movie was Glass Tears in 2001 before he retired from acting at the age of 62. He filmed more than 70 movies with the Shaw Brothers. Although he played much as the villain in most of his movies which in truth his face is much more suited for, Lo Lieh was a devout Buddhist renown for a gentle off-screen demeanour. During the 70’s and into the early 80’s he was in the host of classic movies Chinese Boxer, Bamboo House of Dolls, Black Magic, The Magic Blade, Executioners from Shaolin, Eighteen Jade Arhats, Kung Fu from Beyond the Grave, and Black Magic with Buddha. Lo Lieh seems to have appeared in about 3 out of every 5 movies made in Hong Kong between 1970 and 1980. Directors Liu Chia Liang and Chang Cheh from the Shaw Brothers studio cast Lo Lieh in many of their iconic kung fu movies. He worked with swordswoman Cheng Pei Pei (Jade Fox in Crouching Tiger, Hidden Dragon) in her early career. He also shared the screen with Chow Yun Fat, Angela Mao, Gordon Liu and many other Hong Kong movie stars. He is not only created some of the most memorable villains of the era but also he is done a handful of straight dramatic roles. Lo Lieh, he did not embarrass easily and he liked to work. He used to brag that he only needed 4 hours of sleep at night and calculated that it allowed him 16 hours to make money everyday. He did not mind working overtime in multiple productions simultaneously. He went on to work with every significant player in Hong Kong. He is best remembered for the many villainous roles he played throughout the years. While competent as a martial arts performer, Lo Lieh was also a fine actor who imbued his characters with charisma and depth. Martial arts movie legend, actor, director, producer and writer Lo Lieh passed away in Shenzen in 2002 at the age of 63 due to heart attack. He leaves a rich body of work behind him and will be missed and remembered by his many fans.